Congratulations Theresa Gunn, IAP2 USA’s newest Master Certified Public Participation Professional (MCP3)! Congratulations Theresa Gunn on becoming IAP2 USA’s newest Master Certified Public Participation Professional (MCP3). Serving on the first IAP2 Federation Board of Directors following the March 2010 decision to move to an Affiliate model, serving first as Treasurer, 2011-2012, and then as Deputy Presiding Member in 2013. Theresa has chaired the Membership Services Committee, 2014-to-date, where she continues her work championing professional development for public participation practitioners. Theresa is a huge proponent of the Professional Certification Program. It was a priority for her as a Federation board member where she was able to shepherd the process that gave IAP2 USA permission to develop the program. 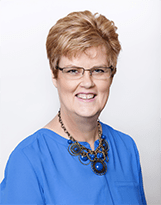 We congratulate Theresa Gunn on her successful completion of the Professional Certification Program and designation as a Master Certified Public Participation Professional (MCP3). We are grateful for her continuing support and admire how she embodies the IAP2 Core Values. To learn more about Theresa Gunn, see our 2016 Member Spotlight. IAP2 USA is leading the global effort to deploy a Professional Certification program for Public Participation practitioners and is grateful for the collaboration of IAP2 Canada and IAP2 Southern Africa. Steven Wolf was in the first cohort to receive the designation of Master Certified Public Participation Professional. A Community Engagement Director with JEO Consulting Group based out of Omaha, Nebraska, Steven has over 35 years of experience in public affairs, government relations and issues management and over 29 years of military experience as in the Army National Guard and as an Air Force Civilian. His specialties include: Strategic Communications, Government Affairs, Media Relations, Community Involvement, Environmental Policy, Issues Management, Risk Communication, Negotiation and Conflict Management. In this video, Steven speaks to the value of obtaining professional certification. 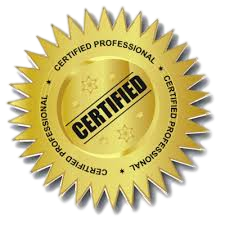 Professional certification serves as a professional reference, documenting that an individual’s professional knowledge and experience has been assessed by an impartial, third-party. Certification is typically earned from a professional society or an educational institution. IAP2 Professional Certification recognizes individuals who already possess the essential competencies of a P2 practitioner – and provides an achievable goal for people joining the profession. If you haven’t done so already, please visit the Certification webpage to watch the webinars developed to familiarize you with the program. Many of you have been asking for IAP2 Certification well it is here and we have a reason to celebrate! Yahoo, Yippee, WOW! IAP2 USA is pleased to announce the completion of its pilot Assessment Center for the new professional certification program. We are even more pleased to announce that Steven Wolf, John Godec, and Douglas Sarno have all been awarded the Master Certified Public Participation Professional (MCP3). The Task Force, which includes IAP2 USA members Debra Duerr, Tina Geiselbrecht, Cassie Hemphill, and Hannah Litzenberger as well as Brenda Pichette (representing IAP2 Canada) and Ken Smith (representing IAP2 Southern Africa), is chaired by Wendy Lowe, IAP2 USA Board member. Wendy reports that the Task Force remains hard at work finalizing its recommendation to the IAP2 USA Board for the final program and making plans for two 2016 Assessment Centers. Are you interested in Certification? Click here for more information.